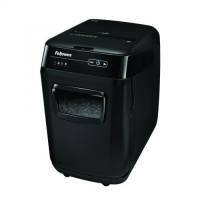 Q-Connect Q6STRIP Strip-Cut Shredder KF15542 Pack of 1 Q-Connect Q6STRIP Strip-Cut Shredder KF15542. Compact strip-cut shredder shreds 6 sheets into 7.2mm strips. 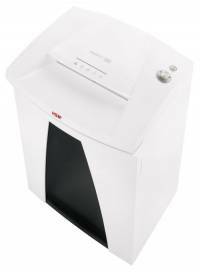 Features 9.2L waste basket, auto start/stop, manual reverse, overheat/overload protection and clear button to help clear paper. Security level 1. 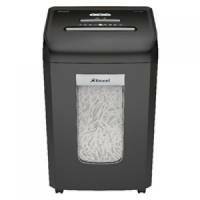 Q-Connect Q8MICRO Micro-Cut Shredder KF15548 Pack of 1 Micro cut shredder shreds up to 8 sheets of 75gsm paper into 3.3 x 9mm particles. Auto start stop. Reverse in case of jams. 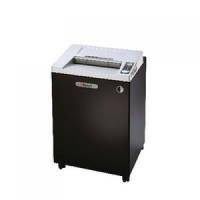 Q-Connect Q12CC Cross-Cut Shredder KF15552 Pack of 1 Cross cut shredder shreds up to 12 sheets of 75gsm paper into 5.6 x 55mm particles. Auto start stop. Reverse in case of jams. 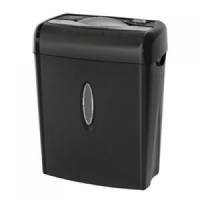 Q-Connect Q6CC2 Cross Cut Paper Shredder KF17971 Pack of 1 Compact cross cut shredder. Shreds up to 6 sheets of paper into 5 x 47mm particles. 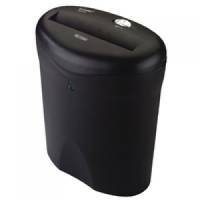 Q-Connect Q8CC2 Cross Cut Paper Shredder KF17973 Pack of 1 Cross cut shredder with 13L bin. Shreds up to 8 sheets of paper in one pass into 5 x 47mm particles. 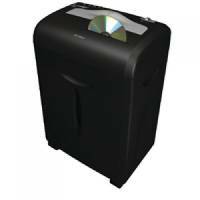 Q-Connect Cross Cut Paper Shredder Q10CC2 KF17975 Pack of 1 Cross cut shredder with 16.5L bin. Shreds up to 10 sheets of paper in one pass into 5 x 51mm particles. Q-Connect Q15CC Cross-Cut Shredder. Security Level 3. Bin capacity 35Ls. 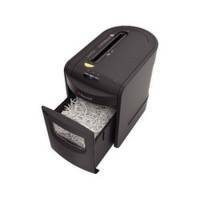 KF15554 Pack of 1 Cross cut shredder shreds up to 15 sheets of 80gsm paper into 4 x 30mm particles. Auto start stop. Reverse in case of jams. 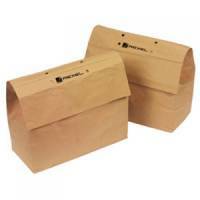 Accepts CDs, credit cards, paper clips and staples. 230mm entry width. Safety cut out. 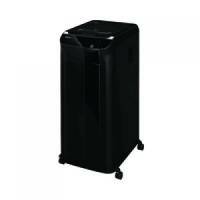 35 litre waste bin. Security level 3. 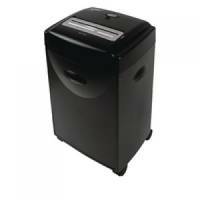 Rexel Black /Silver RLWS35 Wide Entry Strip-Cut Shredder 2103035 Pack of 1 Rexel RLWS35 Shredder. Shreds up to 35 sheets in a single pass into 6mm strips. 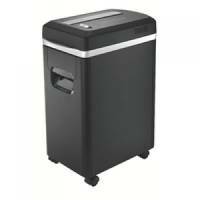 175 litre removable waste bin. Shreds staples, paperclips, credit cards and CDs. Energy saving mode. Auto and manual reverse to clear jams. Continuous use. Security level 2.